The basal ganglia consists of a number of subcortical nuclei. The grouping of these nuclei is related to function rather than anatomy – its components are not part of a single anatomical unit, and are spread deep within the brain. It is part of a basic feedback circuit, receiving information from several sources including the cerebral cortex. The basal ganglia feeds this information back to the cortex, via the thalamus. In doing so, it acts to modulate and refine cortical activity – such as that controlling descending motor pathways. Although widely used, the term basal ganglia is a misnomer, as ganglia are collection of cell bodies outside of the central nervous system. Since a collection of subcortical cell bodies inside the nervous system are known as nuclei, the name basal nuclei is more accurate. The anatomy of the basal ganglia is complex since it is spread throughout the forebrain. In the telencephalon, the caudate nucleus (CN) and the putamen (Pu) are collectively called neostriatum, and their functions are closely related. 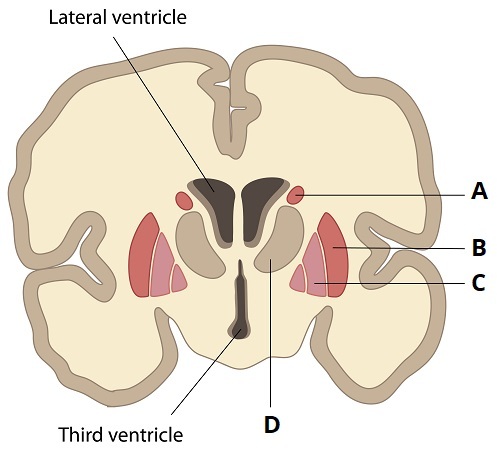 The most rostral aspect of the neostriatum, where the caudate nucleus and the putamen join together, is termed nucleus accumbens (Acb), which is part of a functionally separate domain named ventral striatum. The subthalamic nucleus (StN) lies in the diencephalon. In the mesencephalon, the substantia nigra is divided into two parts; the pars compacta (SNc) and the pars reticularis (SNr). The caudate nucleus forms the lateral wall of the lateral ventricle and follows the telencephalic expansion during development. It has a characteristic ventricular C-shape when fully developed. It can be identified as the collection of gray matter on the wall of the lateral ventricles. During development, the caudate nucleus is separated from the putamen by descending white matter fibres, which at this level are known as internal capsule. The lentiform nucleus is comprised of globus pallidus and the putamen. Although anatomically related, they share no functional relationship. It can be identified as a collection of gray matter laying deep within the hemispheres. Note that, laterally to the putamen, there is another collection of white matter fibres known as external capsule. A thin bundle of grey matter can be seen lateral to the external capsule: this is the claustrum, once thought to be part of the basal ganglia. More lateral to the claustrum is the extreme capsule, which are white matter tracts separating the claustrum from the neocortical insula. Fig 2 – Components of the basal ganglia and its anatomical relations. The substantia nigra is conspicuous in gross specimens and can be seen in cuts through the midbrain, having a dark appearance due to the neuromelanin present in the cells of the SNc. The subthalamic nucleus, as the name implies, lies inferior to the thalamus, and right above the substantia nigra. In simple terms, the basal ganglia provide a feedback mechanism to the cerebral cortex, modulating and refining cortical activation. Its main function is related to motor refinement, acting as a tonically active break, preventing unwanted movements to start. Much of this involves reducing the excitatory input to the cerebral cortex. 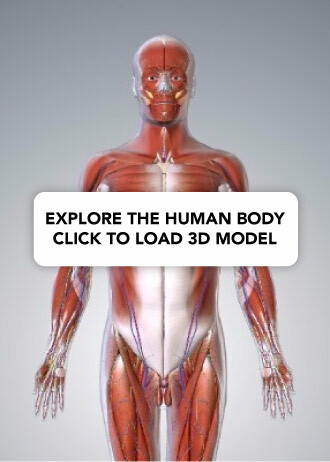 This prevents excessive and exaggerated movements. The basal ganglia also plays an important role in modulating cognitive and emotional responses. The putamen receives almost exclusive inputs from motor and somatosensory cortices and projects back to motor areas, and is thus related to the motor loop. The caudate nucleus receives input from cortical association areas and projects to prefrontal areas. In contrast, the ventral striatum (including the Acb) receives limbic inputs and is thus related to emotions. The arterial supply to the basal ganglia comes mainly from the middle cerebral artery, a continuation of the internal carotid artery. 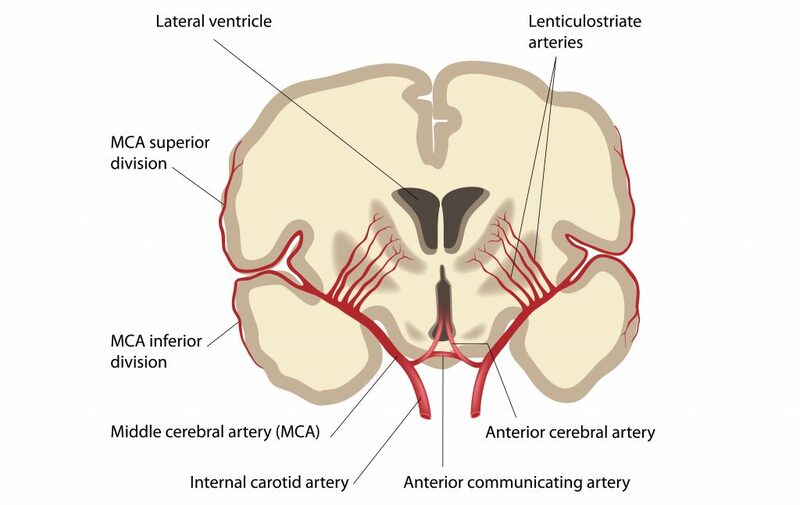 The main artery is named lenticulostriate artery and, as the name implies, provides most of the circulation to the striatum and the lenticular nucleus. There is also a small amount of supply from the anterior cerebral artery and the anterior choroidal artery, both of which are also branches of the internal carotid artery, supplying the more anterior aspect of the ganglia, (i.e. 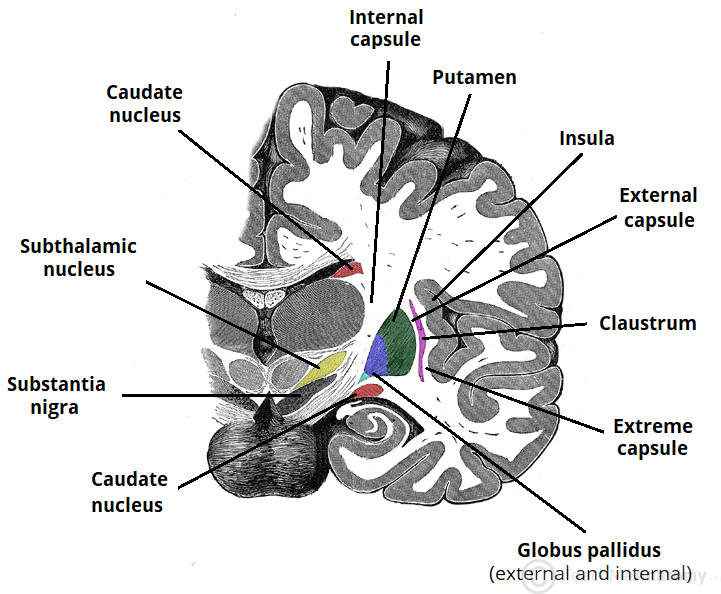 the head of the caudate nucleus and the nucleus accumbens). This particularly large artery is referred to as medial striate artery (of Heubner). The substania nigra and the subthalamic nucleus are more posterior and thus receive its vasculature from branches of the posterior cerebral and posterior communicating arteries. The venous drainage is via striate branches of the internal cerebral vein, which drain into the great cerebral vein. Fig 3 – Arterial supply to the components of the basal ganglia via the lenticulostriate arteries. Which of the following labels corresponds to an intrinsic nuclei of the basal ganglia? In the basal ganglia, which structures comprise the neostriatum? Which structure separates the caudate nucleus from the putamen?